A Fallout 76 Build by targetrein2. This is about as close to building a Fallout 76 character the way I’d build my Fallout 4 characters, minus the sneak attacking. Keep your AP motor running with Grim Reaper’s Sprint, fill up that critical motor running with Four Leaf Clover, smash that critical hit button, and Concentrated Fire them right in the face. When one drops, Gun Fu and Adrenaline your way to the next guy and give him some lead love. 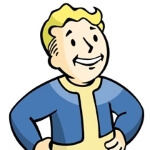 Laugh, collect your phat loots, and continue frolicking across the wasteland. There’s 60% additional rifle damage built in through the various Rifleman perks, as well as a flat 10% damage boost from rank 2 of Bloody Mess. You’ve got damage for days. If that isn’t enough, Tank Killer makes their armor meaningless. I’d almost feel bad for them. Almost. The build allows for enough “oh sH*t!” damage mitigation in case you’re overwhelmed by bad guys with Blocker, Serendipity, Ironclad, and Evasive, to take only a small amount of damage while you continue to pour lead (or lasers) down your enemies gullets. Four points in Charisma for Lone Wanderer. Swap it out for Inspirational or Bodyguards with a team. Five points in Intelligence should give you enough to make your own nasty weapons (push a Gunsmith stack to 5). Luck should be maxed. Better lucky than good. Tons of gold perks here just begging to be taken advantage of, so do the honors. In the early game, feel free to swap out Starched Genes for something usable, like Scrounger. Perception is maxed. I wish I had an additional 6 points to dump into Perception. Rifle damage perks eat this field alive, unfortunately. You could put one point into each of the Rifleman cards if you wanted more utility in this area (add Long Shot and/or Penetrator), but it may not be necessary. Endurance is commonly rated the lowest SPECIAL stat due to the tiny amount of HP received per rank. Many rifle builds leave this stat at 1. I like leaving this stat at 5, especially if I need to swap out Ironclad for other situational perks, like Rad Resistant and/or Fireproof. Even Lifegiver or Adamantium Skeleton could be good fits in this slot. Agility feels right around 9 points. Plenty of AP to play with and just the right mix of cards. You could swap out damage mitigation (Evasive) for sneak-attack related cards if you’re playing long-range solo and aren’t getting hit very often. An interesting build, I would like to see what perk to put and on which level ? The Power Armor link is dead, could you update it please? What is the best non PA armor for this build? The type of armor isn’t particularly important, though the best for endgame are probably the heavy versions of Combat armor (BoS paint), Metal armor, or Robot armor with their best mods. Legendary effects are more important. Great armor effects for this build would include Unyielding, Chameleon, +AP refresh, and reduced damage while standing still. For group play, you can sub in pretty much anything required for the situation. Tenderizer is a pretty decent option and can be subbed in for Lone Wanderer with a point to spare. We’re not really concerned with Tormentor in our group as I’ll be using heavy guns and will be able to cripple limbs fairly easily. Thanks for the comment! Concentrated fire does not allow me to target limbs. Broken perk. Could swap out Blocker for Barbarian? The dmg resistance to all types seems better for more situations then just the focused melee dmg reduction? Has anyone tested if 45% dmg melee reduction is better then the 60 dmg resistance from Barbarian against the same melee swing? Correct – and Blocker is one of the best damage mitigation perks in the game. Extremely strong perk for 3 points. The Power Armor version I posted as an edit is probably what would be more useful long term. It will net you much more carry weight, damage mitigation, and still have tons of killing power once you’ve got a Gauss rifle equipped. Unfortunately, in this build with the chosen stats, that theory doesn’t work because you would only get 12 dmg resist, not the 60 if you maxed str. 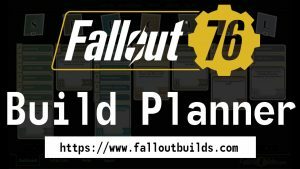 so this guide is pretty awesome as this is the type of character i ususally like to start as to get a feel for the game but i have to ask, im not a huge fan of VATS, i do use it on occasion, i prefer manual aiming does this build lose out or is heavy VATS usage a requirement? I have to say, I decided to go with this build after making 4 characters that all were meh. This build is my favorite so far. I am a little sad I missed the last line of edits for PA build because I think I would have preferred that. It feels like normal armor breaks way to quick comparatively speaking to PA. Thanks again for the build. Pick up the perk White Knight when it becomes available to you and swap it in for repairs. You don’t have to have it equipped all the time for the greater durability, just using it for the cheaper repairs is great. Obviously rank 3 is best, but even just rank 1 in the perk cuts the ballistic fiber requirement in half for repairs iirc. Besides that you can obviously always use power armor anyway, and honestly you’ll want to in nuke zones anyway. This forum has 495 topics, 541 replies, and was last updated 19 hours ago by Sentinel76.